Lesjöfors produce an extensive range of springs for the European Car and Light Commercial Vehicle market, offering high-quality products, professional service, and excellent availability. 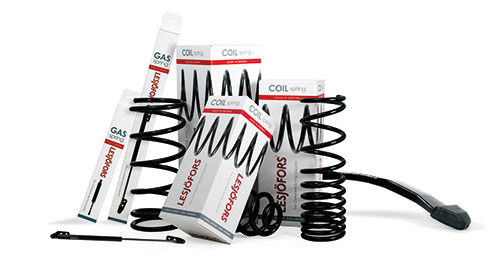 Lesjöfors have spent over 160 years manufacturing springs, and today produce the world's largest range of coil springs for the automotive aftermarket. 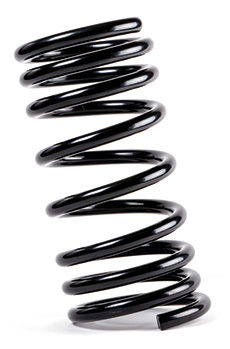 We are proud of our position as European market leader in the suspension coil spring free aftermarket. Lesjöfors automotive customers are parts wholesalers and distributors, supplying components to the aftermarket across Europe and worldwide. Lesjöfors' philosophy is to produce a complete range of springs, stocked for worldwide distribution. All slow-moving items are produced once a year for stock. Lesjöfors' distribution centres are located in Sweden, Germany, UK, Russia, and the USA, holding a coil spring stock of around 1.5 million springs. This ensures high availability with short delivery times and low distribution costs! Lesjöfors provide rapid, flexible, and reliable deliveries, enabling customers to achieve improved profitability.